Whiplash injuries happen every single day, oftentimes resulting in a lifetime of pain. According to research, more than 50 percent of all whiplash victims are left with some type of chronic pain. The majority of these types of injuries happen following a car accident where one car rear-ends another, causing the head to whip forwards, backwards, or sideways. Unfortunately, many people ignore the symptoms of whiplash, thinking they will go away on their own with time. But this is not always the case. Because so many other complications are associated with whiplash, it is imperative you seek medical attention right away after an accident. Here at Premier Injury Clinics of DFW, we offer a range of chiropractic services to those with whiplash. 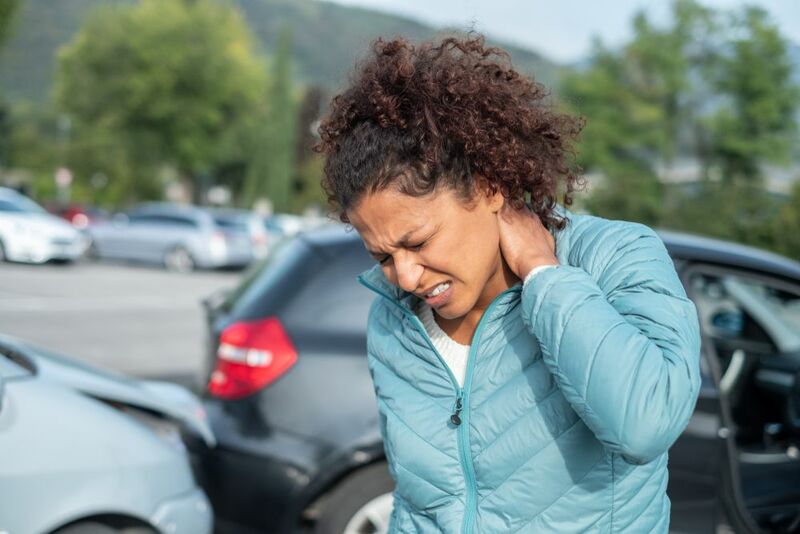 If you or someone you love has been in an accident, please give us a call today to see how we may be able to help with any pain or discomfort you are experiencing as a result of whiplash. Whiplash is basically a soft tissue injury to the neck, often referred to as a neck sprain or strain. It usually happens when there is sudden extension or flexion of the neck, which can happen when your vehicle is hit from behind by another vehicle. According to the National Institutes of Health, more than two-thirds of all people involved in car accidents develop symptoms of whiplash. It can take anywhere from 48 hours to several weeks for these symptoms to show up, which is why many people fail to get treated. You may have whiplash if you are experiencing pain and stiffness in the neck, radiating into the shoulders, arms, upper back, and upper chest. Some patients may also experience headaches, dizziness, difficulty swallowing, nausea, and blurred vision. If you are experiencing any of the symptoms listed above, it may be time to see a chiropractor. Whiplash is diagnosed here at our clinic by evaluating a patient’s entire spine, looking to see if other areas have been impacted. Using various techniques such as motion and static palpation, your chiropractor will be to tell if there are regions surrounding the neck that are tender, tight, and unable to move with ease. Depending on the person, the chiropractor may also want to look at your gait, posture, and spinal alignment. All of these things together will help us determine whether you do have a whiplash injury and, if so, how we can treat it. There are several different stages of whiplash treatment that are governed by the type of injury and how long ago it happened. If you have come in shortly after whiplash occurs, our goal will be to reduce inflammation of the neck through gentle stretching, muscle energy therapy, and other techniques. An ice pack may also help in the initial days after the injury. Spinal manipulation – One of the most effective ways to treat whiplash is through spinal manipulation. Using this technique, your chiropractor identifies which spinal joints are restricted and then restores motion to the joint through gently manipulating the area. Muscle relaxation – Another way to help those suffering from whiplash is through muscle relaxation or stimulation. This technique uses gently stretching to release muscles that have too much tension or are contracting because of tightness. Flexion-distraction technique – Our chiropractors also use the flexion-distraction technique, a hands-on type of spinal manipulation. This treatment is often recommended for those that have a bulging or herniated disc as a result of whiplash. To learn more about how a chiropractor from Premier Injury Clinics of DFW can help with whiplash, please give us a call today.